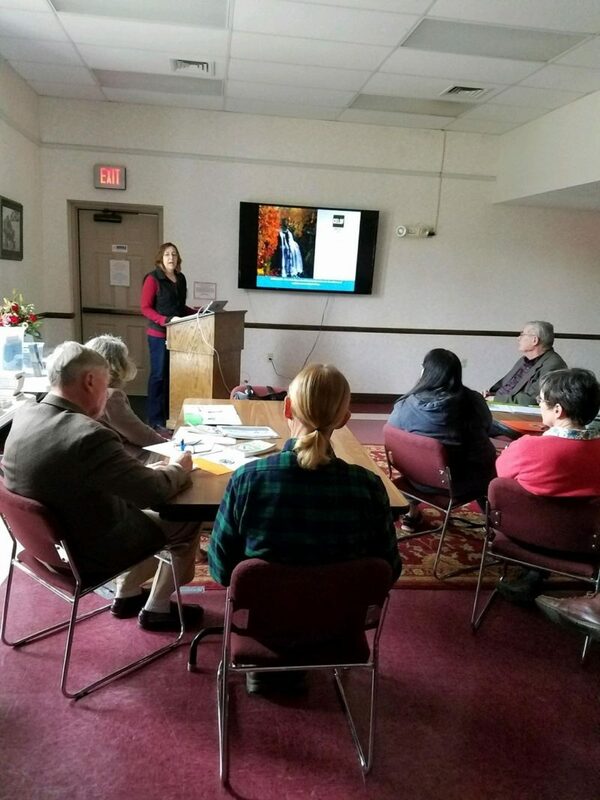 There is a community rights movement in New Hampshire and across the Nation for cities and towns to act to protect their health, safety, and welfare through local ordinances. This is the right thing for EVERY town to do! Nottingham passed a Rights Based Ordinance (RBO) in 2008 to ban commercial water extraction when USA Springs wanted to pump us dry – we stopped them and we protected our water supplies. Barnstead and Barrington did the same thing, and Atkinson also passed a RBO to protect their water supplies. On March 17, Nottingham residents at Town Meeting will vote on a ban against toxic waste dumping (Article 19). An ounce of prevention is worth more than a pound of cure! Sugar Hill, Easton, and Plymouth have passed RBO’s prohibiting high voltage transmission lines and that helped to oppose the Northern Pass project. Grafton, Danbury, Hebron, and Alexandria passed RBO’s to stop commercial wind turbines from sprouting all over their towns. Sustainable renewable energy must be of, by, and for the people. Durham is now organizing to stop Great Bay from dredging by Eversource that will cause severe environmental damage, and Newmarket is in the midst of an RBO effort to prevent chemical trespass in the Great Bay and the surrounding watershed. Act now before they dig it up and poison the water, afterwards will be too late. Towns are becoming mobilized to stop Liquefied Natural Gas (LNG) pipelines and storage facilities. The Granite Bridge pipeline will endanger every community on its route with highly explosive LNG, especially the Epping area where they want to build a storage tank 140 feet tall. One spark, one human error, one malfunction, and BOOM the whole region will be affected by that disaster, including Exeter! Then it will be too late to do anything, as it is for communities being destroyed by gas fracking. The Legislature is now considering CACR 19 for an Amendment to the NH Constitution’s Bill of Rights that will make it clear that towns and cities have the right to self-protection and control of their destiny. Please get involved in your town and also call your Representatives to vote against the efforts to kill this crucial piece of Legislation. We the People must lead to get our leaders to follow!